The standard cement floor in a garage can be hard to love. Not only is not exceptionally aesthetically pleasing, but it is cold, plain and something that we are capable of changing. If you are planning on using your garage for something other than just storing your car, then there is a chance that you may be interested in changing the flooring inside of your garage. Flooring is important for a variety of reasons but mainly it serves to protect the floor from spills and stains. 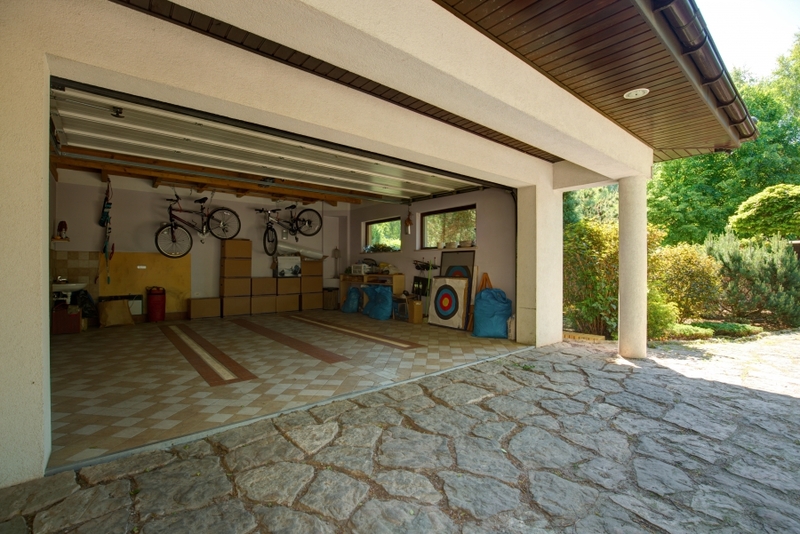 The garage floors of today offer so much more that simply a protective coating however and the classic, concrete garage floor has been replaced by a variety of materials and flooring options. Of course you could always go with the classic, black and white checkerboard but the possibilities are almost endless. 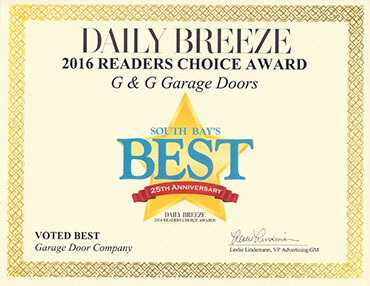 The team at G&G Garage Doors have worked on a variety of garages, and in that time we have gained more and more knowledge on the different options that are available to those interested. Here are our top picks of flooring options. There are a few businesses that have this type of flooring in them, and you’ve probably seen them without even being aware of it. The process is pretty easy, and requires about a few days to complete, but is pretty easy to do on your own if you’re not a perfectionist. This process will provide you with a paint that will stick to the cement and leave it with a fresh and new color that will provide you with an entirely new looking floor. As you make your way through the paint job, you’ll drop specs into the paint that will provide a type of texture to the ground. At the end of this process, you’ll have a floor that is still as sturdy as cement, but will have more of a plastic feel and an entirely different look. Topped with a coat of gloss, you can bet that this will be a look worth working for. If you’re looking for something that is sturdy but provides a little more bounce, snap together tiles are an option worth looking into. These are similar to the foam tiles that we’ve all seen in preschools or daycare centers, but hold together much better and have a firmer feel to them. This is a fantastic option for anyone that frequently uses their garage space as a work space or a gym. This is also a good option for times where garages are turned into game rooms and will have plenty of people walking around them. This can be a pretty affordable project to take on, and is one that can provide you with the option of colors and style that you are choosing to use inside of your garage. 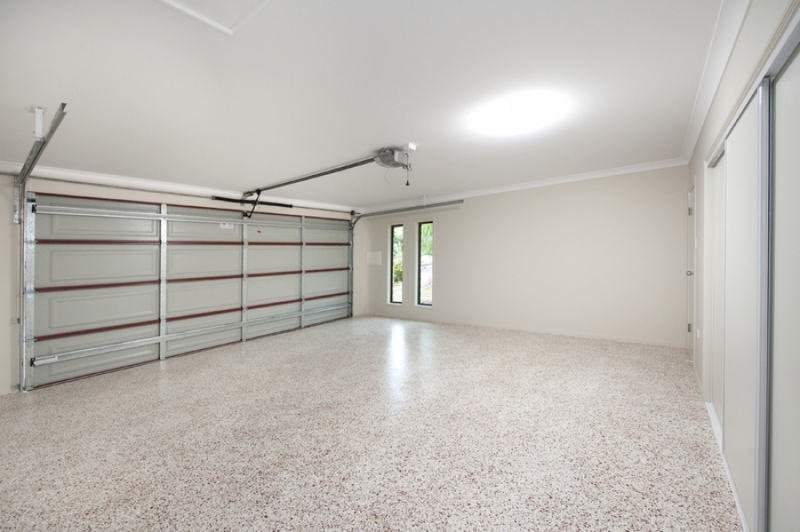 There are plenty of other options that you can take advantage of in your garage space to better suit the plan that you have. Whether it be taking on a bigger project and adding in wood flooring, or taking it one step further and adding in carpet, you are entirely capable of creating the space that you want. 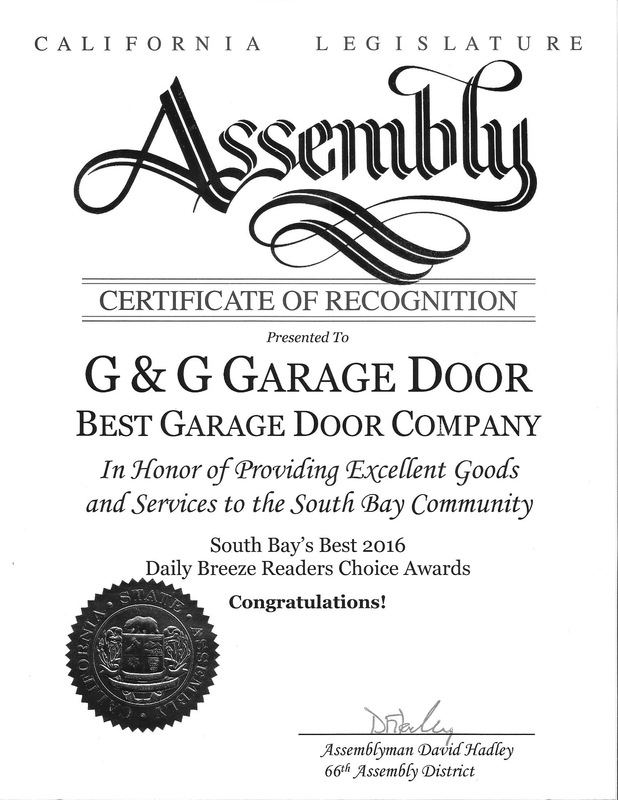 When it comes to the remainder of your garage maintenance and repair projects, you can count on G&G Garage Doors in Manhattan Beach to get the job done. 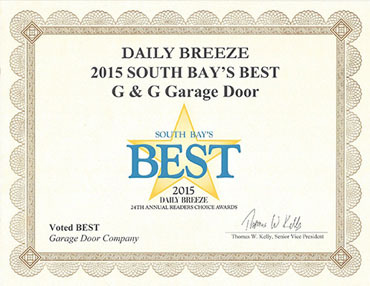 Allow for our professionals to take a look at the project that you’ve got going and provide you with a suggestions on garage doors and other garage accessories that could boost the project as a whole. Please contact us for more information today.